In the paper, a method for evaluation of fingerprint equivalence obtained in a fingerprint recognition system is proposed. 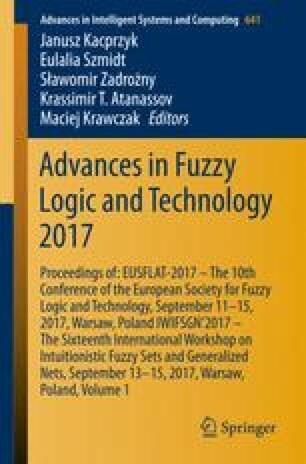 For the assessment of the equivalence of the respective assessment units, the theory of intuitionistic fuzzy sets is used. The obtained intuitionistic fuzzy estimations reflect on the recognition of the system. We also consider a degree of uncertainty when the information is not enough. In this case we use threshold values for the minimum and maximum of the degree of membership and non-membership. For the description of the entire process, we use generalized nets model. The authors are grateful for the support provided by the project DN-02/10 - “New Instruments for Knowledge Discovery from Data, and their Modelling”, funded by the National Science Fund, Bulgarian Ministry of Education, and Science.